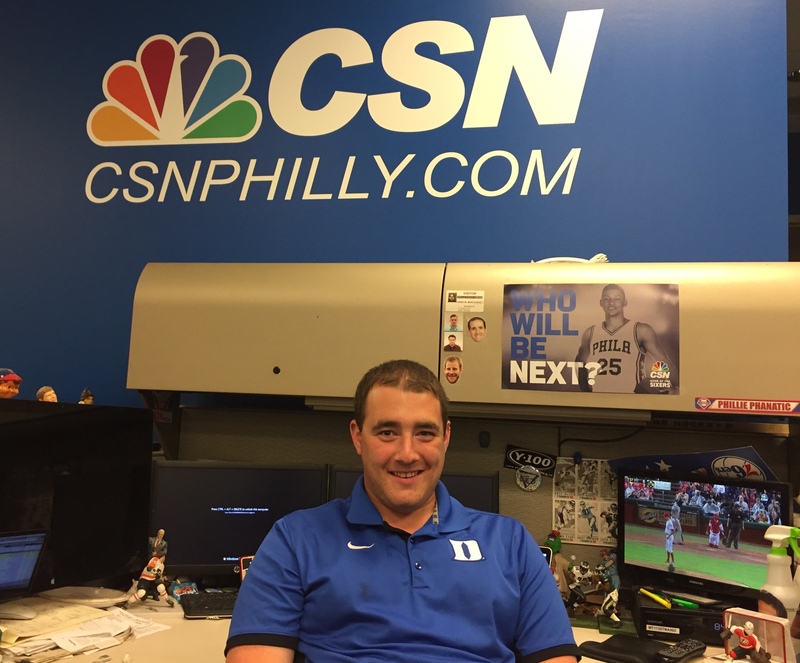 For Hank Tucker, spending his summer making the rounds of North Carolina’s college sports scene is great preparation for his role as the incoming sports editor for the Duke Chronicle. In the last two months, he has covered Jay Bilas, Duke graduate and ESPN college basketball analyst, Chuck Amato, the ex-North Carolina State head football coach, and Lincoln Riley, the new head football coach at the University of Oklahoma. 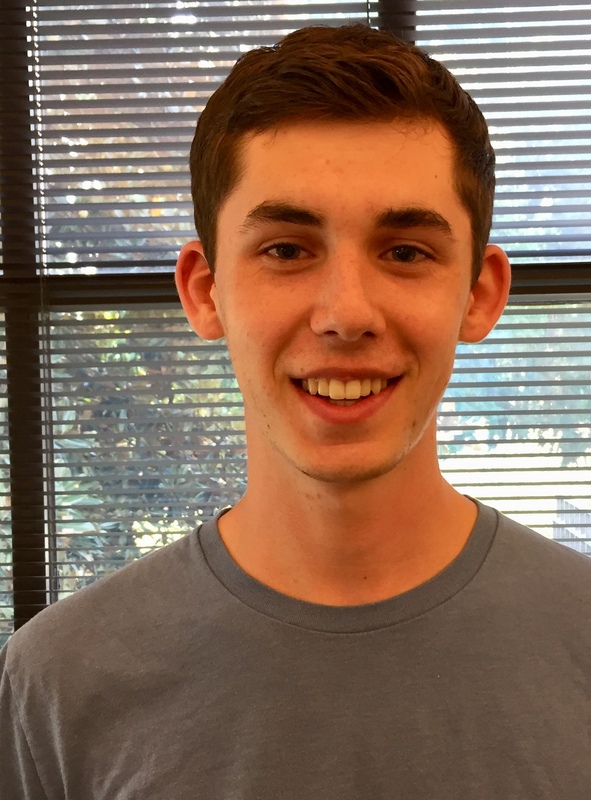 Tucker is covering local sports as an intern at the News & Observer in Raleigh. The relative dearth of competitive action in the summer months has challenged Tucker to approach sports news from fresh, interesting angles. He recently reported on Raleigh’s bid for a Major League Soccer team and also wrote an article on efforts to revive Rickwood Field, the oldest professional baseball park in America. “My favorite days are when I get to leave the office to cover an event or interview somebody locally,” Tucker said. Working at the N&O has opened Tucker’s eyes to the existential struggles of the newspaper industry. Due to financial constraints, the newspaper discontinued its copy desk, which means that Tucker is solely responsible for the accuracy of his stories. How news is read online is changing the role and metrics of the journalist, he discovered. Tucker is keen to use this experience to amplify the Chronicle’s online presence. In Boston, Sam Turken is getting a firsthand experience of the city and its pressing social issues. 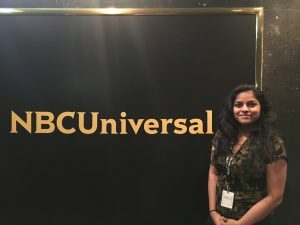 In the past two months as an intern at WBUR, Boston’s NPR news station, Turken has covered everything from wealth disparities and affordable housing shortages to the city government’s response to a surge in violent gun crime. Turken is interning at WBUR’s Newscast unit, which produces short news bulletins that are broadcast on NPR on the half-hour. 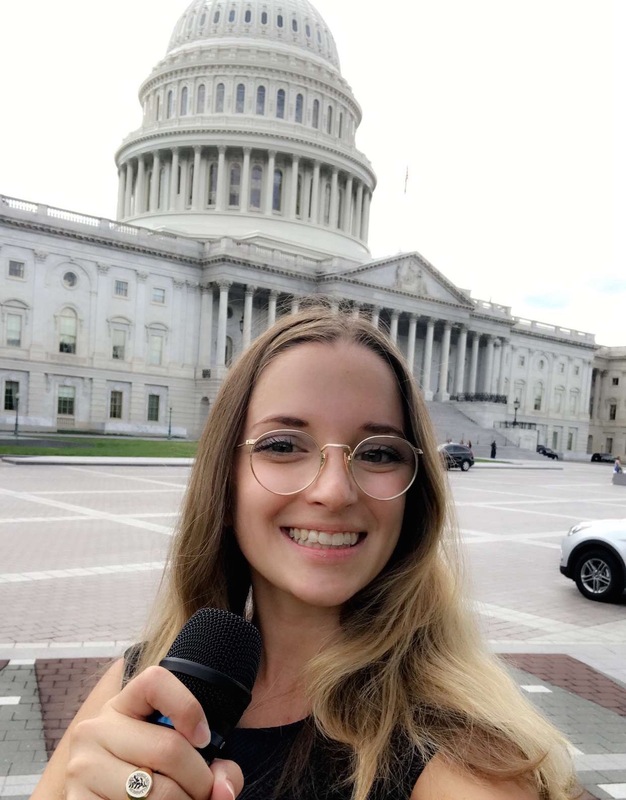 In addition to reporting with Newscast, Turken has also had the opportunity to work on a variety of stories and projects with the digital team. He has helped build research databases on possible sanctuary cities in Massachusetts and engage East Boston residents in discussions about climate change through Listening Posts, which are digital forums that host community conversations. Turken, the incoming managing editor of the Duke Chronicle, is an aspiring public radio journalist. He said that he has been able to learn about the mechanics of radio production through working with seasoned WBUR reporters and producers. 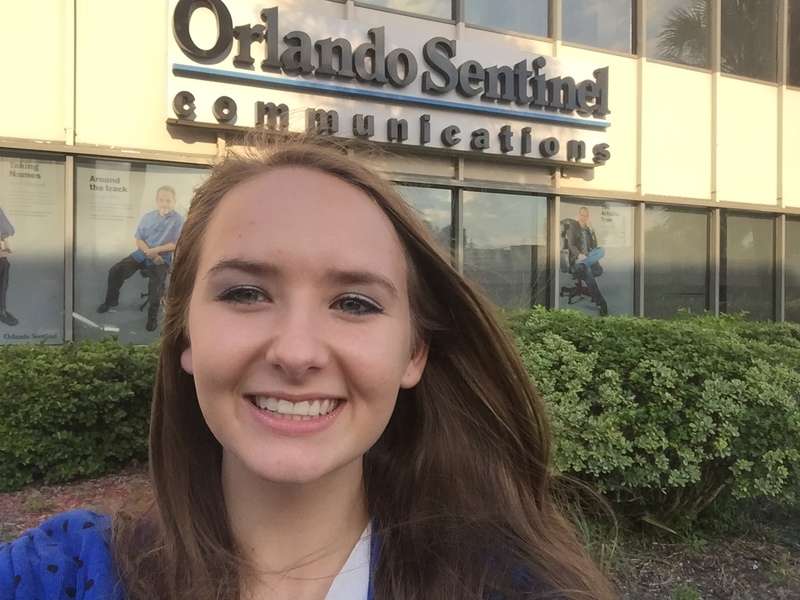 This summer, Julia Donheiser is reporting across the landscape of education issues. From New York City, she has covered stories ranging from the local to the federal, from the classroom to the policy desk, from the 2017 National Teacher of the Year to Betsy DeVos, the U.S. Secretary of Education. 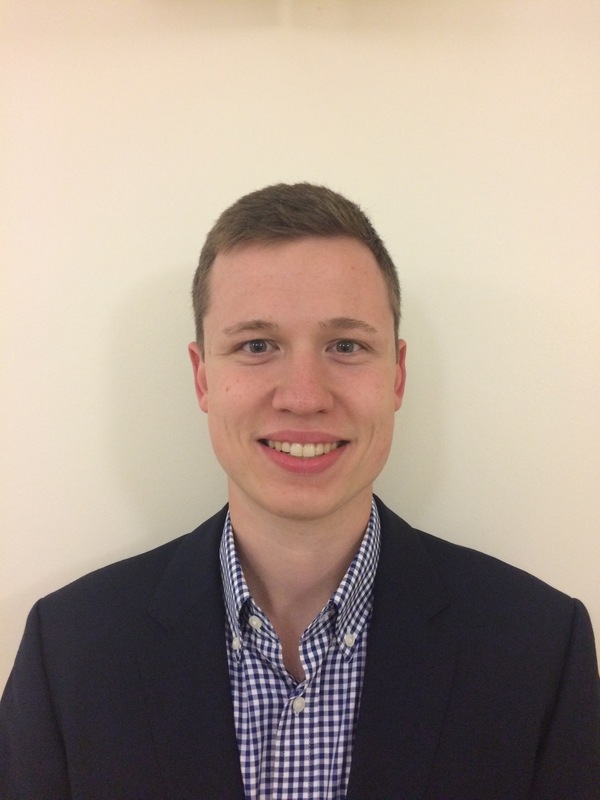 Donheiser is an intern at Chalkbeat, an online, nonprofit publication that focuses on education reporting. Working at Chalkbeat is Donheiser’s first experience in the newsroom, and she said she has learned a lot about the nature of online journalism. At Duke, Donheiser is studying data journalism through Program II, a program that enables students to design their own interdisciplinary curriculum. 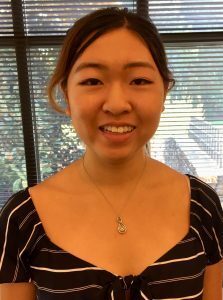 This summer, she has appreciated the opportunity to practice the blend of long-term research and reporting she wants to do in the future. During the past two months, Donheiser’s main project has centered on discrimination against LGBT students in the Indiana voucher program. She has analyzed more than 300 private school handbooks, interviewed school administrators on policies and built research databases. 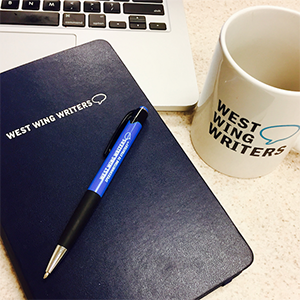 Working at West Wing Writers, Carly Stern is learning how the nuances of language can influence public policy discourse. Stern is an intern at the Washington, D.C.-based speechwriting and political communications firm, which was started in 2001 by speechwriters from President Clinton’s speechwriting shop. 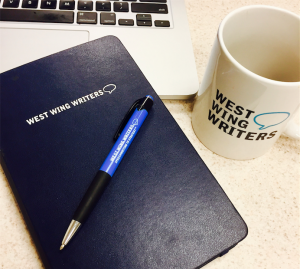 During the past two months, Stern has worked on projects focused on reproductive rights, U.S. foreign policy, stigma surrounding AIDS and workplace diversity. Stern has taken many reporting classes through the Policy Journalism and Media Studies certificate program. She said the storytelling skills she developed in those courses have been useful to her internship, where she is involved with crafting complex policy arguments into digestible narratives. The challenge of both communications and reporting is getting readers invested in your argument, she discovered. Stern said she has enjoyed being pushed to think outside her point of view. A rising junior and the incoming 2017-18 editor-in-chief of the Duke Chronicle, Likhitha Butchireddygari is finding that her college journalism experiences have been more than useful for real-world reporting on national stories. 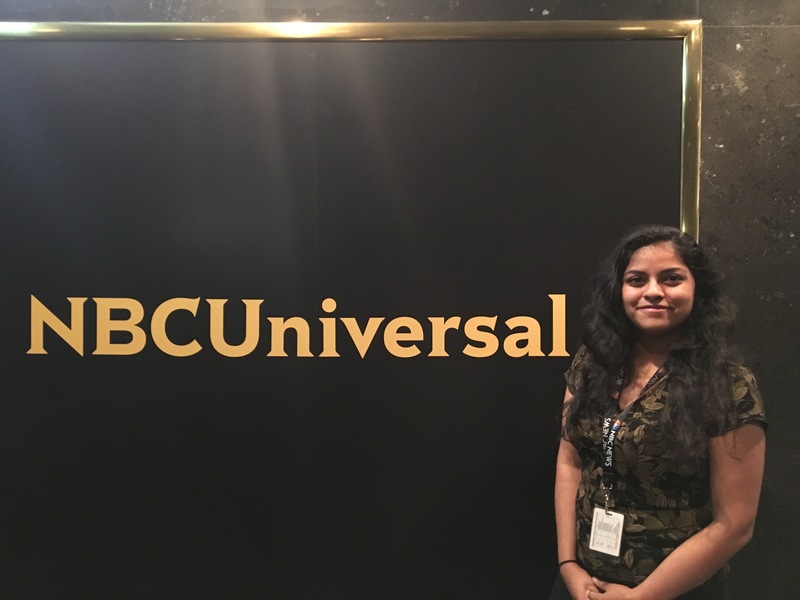 Butchireddygari is an intern in the investigative unit at NBC News and has been involved in coverage of such issues as election security and the opioid crisis. She assists with research, data collection and reporting for collaborative investigative projects and also has been able to pursue her own investigations. Butchireddygari said she has been surprised to learn of the intricacies of the television news production process. Her experiences at NBC News have reaffirmed her interest in a journalism career, she said. Drew Johnson is on the front line of the future of journalism. 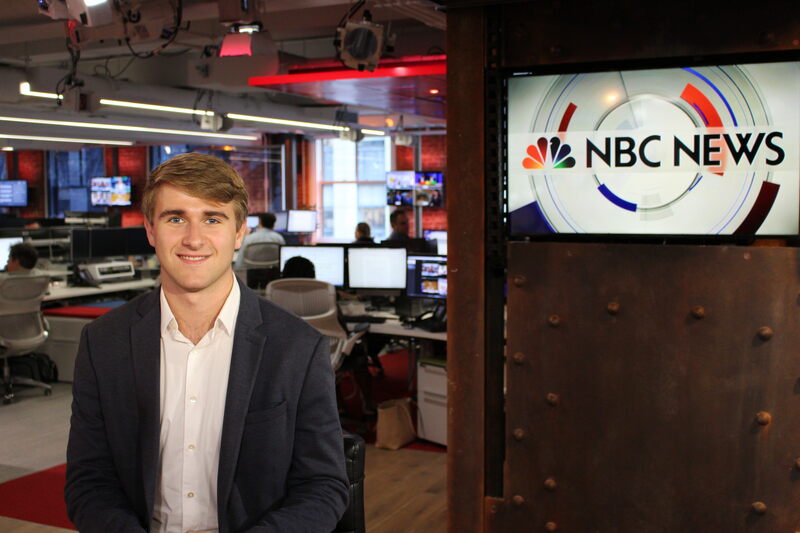 Johnson is interning in the Digital Strategy and Operations department at NBC News, helping the TV network explore new business models. 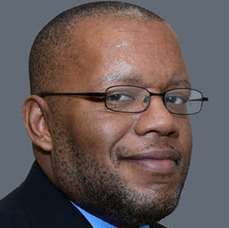 Johnson’s projects range from analyzing readership and advertising trends to developing strategies to monetize news content. At Duke, Johnson is a Policy Journalism and Media Studies certificate student and has been an associate editor for the Duke Chronicle. His experience on both the editorial and business sides of news give him a broad perspective, he said. Johnson said he has been surprised at the level of interdepartmental collaboration his projects have required. 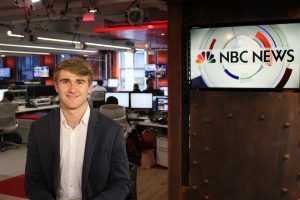 He recently presented his work to senior NBC News executives, which he said was an important milestone at the internship. 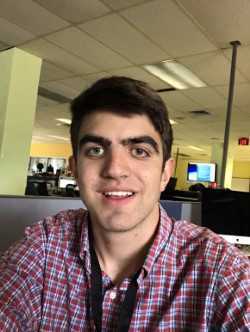 During his summer internship at the Center for Investigative Reporting, Ben Leonard has enjoyed producing journalism that makes a difference. The center publishes its work on a website called Reveal, which is also the name of the center’s public radio program and podcast. Leonard promotes the center through social media and does research and writing to help with investigative projects. Leonard said he has enjoyed working alongside seasoned reporters. 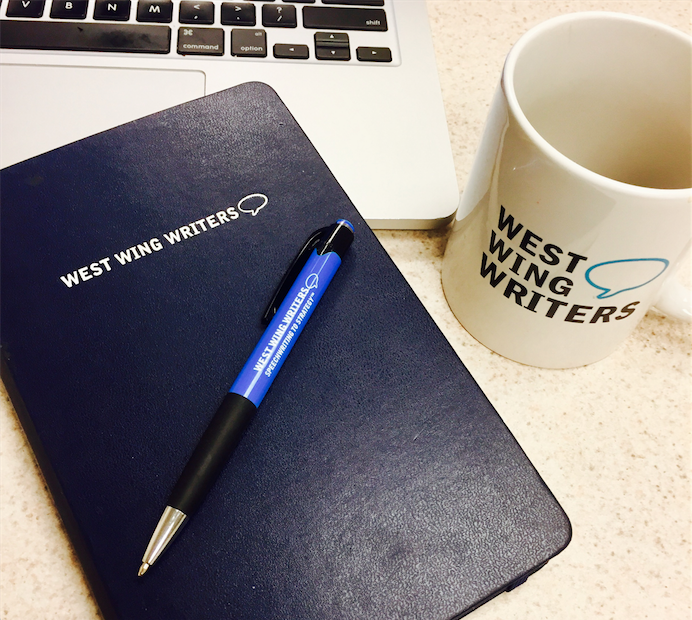 As a political affairs and strategy intern at Precision Strategies, a Washington, D.C., consulting firm, Riley Griffin helps to craft communications approaches that have an impact. Precision Strategies has done work for clients such as the Democratic Senatorial Campaign Committee and Planned Parenthood. It is headed by veterans of President Obama’s campaigns. Griffin recently went to Capitol Hill to interview protesters demonstrating against the Senate Republicans’ health care bill. She also helped with a project that examined the growing population of incarcerated women. She collaborates with coworkers who have a variety of backgrounds, from political campaigns to data analysis and crisis management. 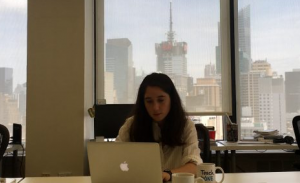 For Griffin, a student in the Policy Journalism and Media Studies certificate program and the Huffington Post Campus Editor-At-Large for Duke, the experience has given her some helpful insights into journalism. “I now understand the process by which many articles about government, nonprofits, and corporations get pitched and ultimately published,” Griffin said. Claire Ballentine is spending the summer in Detroit writing about the future of the automobile industry. She says the city is a surprisingly upbeat place. 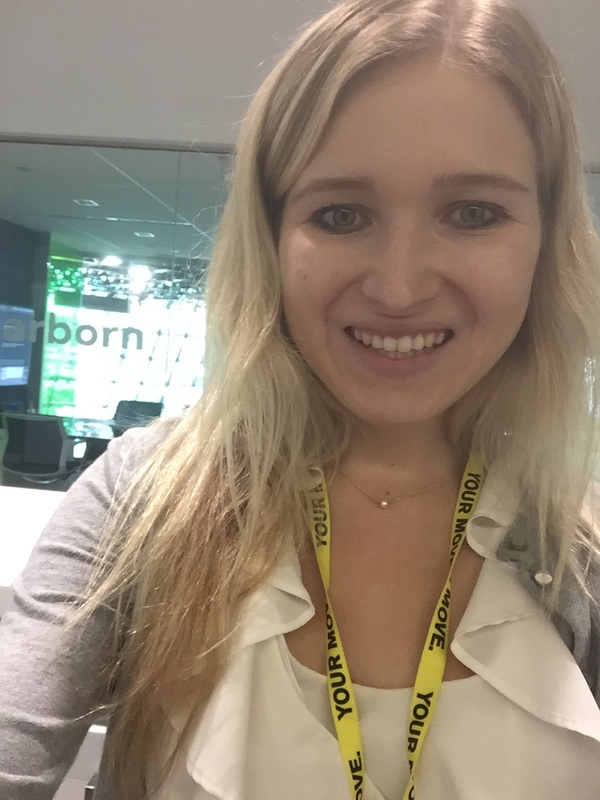 Ballentine is interning in the Bloomberg News Detroit bureau, where she is covering industry trends and the Big Three car companies – General Motors, Ford and Fiat-Chrysler. For someone who had little to no knowledge of the auto industry before this summer, she’s had a steep learning curve but has found the work fulfilling. 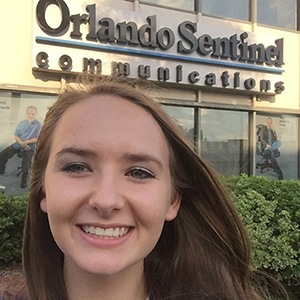 As the only intern in the office, she has been able to work closely with veteran reporters. In addition to her reports on the auto industry — one of which gave her an opportunity to ride in driverless cars — Ballentine has also helped with stories ranging from Amazon’s acquisition of Whole Foods to the ongoing water crisis in Flint. Ballentine said her experience at the Duke Chronicle, where she served as editor-in-chief during the 2016/17 academic year, has been vital for her. Russian hacking and collusion in the U.S. elections. Health care fraud in the opioid crisis. Cellphone smuggling into state prisons. The range of projects Matthew Riley has been working on this summer at NBC News has introduced him to the hard-hitting world of government and business corruption. 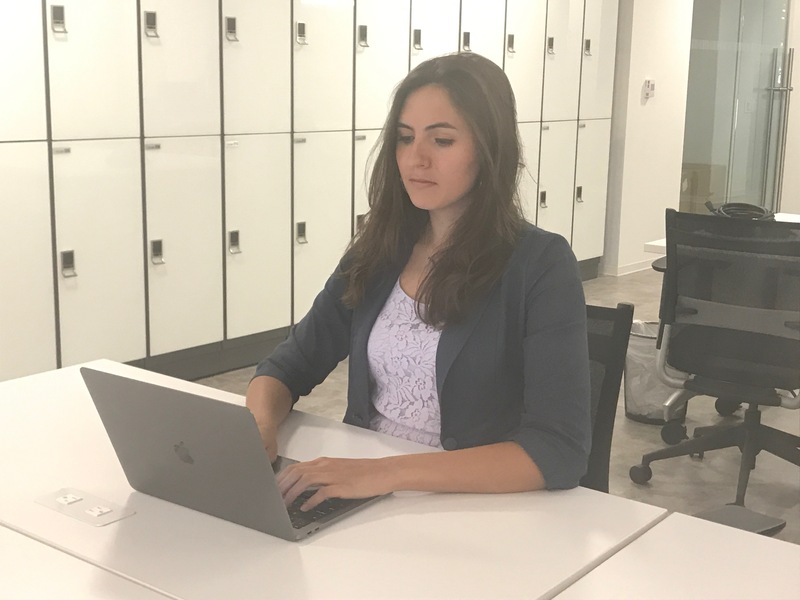 As an intern in the investigative news unit at NBC News, Riley researches, writes and helps produce investigative stories shown on programs such as Nightly News with Lester Holt and Sunday Night With Megyn Kelly. On a day-to-day basis, Riley is contacting public information officers at state and federal government departments, providing database and background research, crafting stories and occasionally assisting with production shoots of interviews. Riley, a rising senior and public policy major, has previously written investigative stories for the Duke Chronicle, one of which debunked a Duke security guard’s claims of having been a war veteran and 9/11 responder. 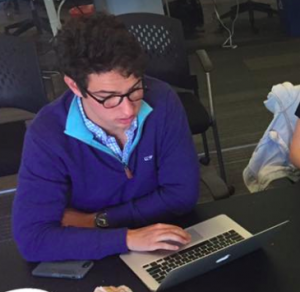 In the last two months, Riley has been able to develop his newswriting and research skills. As a journalist, Riley said he seeks to tell stories that can change people’s lives for the better. His first byline covered the story of George Herscu, one of many Romanian Holocaust survivors who were recently recognized and compensated by the German government. Riley has found the work of investigative journalism to be both engaging and fulfilling. In his first two months at the Tampa Bay Times, Asa Royal has written about local politics, a cemetery and an 800-pound fish. His article on a goliath grouper harassing local fishermen even made it on the front page of the print edition. 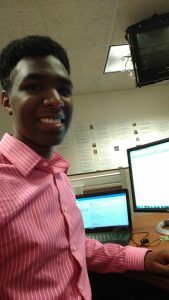 Royal is interning as a general assignment reporter at the St. Petersburg, Fla., newspaper, which means every day he may need to explore a completely new topic. “Day-to-day, I’m pursuing pitches I’ve gotten from editors, cold-calling officials and figuring out ways to convert a notebook full of information I think is interesting into a story that readers will think is interesting,” Royal said. Royal, a computer science major and the previous co-chair of the Duke Chronicle editorial board, had limited experience in news reporting when he began the internship. 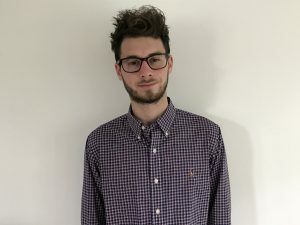 His classes for the Policy Journalism and Media Studies certificate had taught him the basics, but the immersive experience of day-to-day reporting has given him a much richer understanding of what journalism is like. He also has enjoyed the characters and issues about which he has written. He closely follows national politics, so the experience of reporting on local news has been eye-opening. His most memorable story involved a black socialist party’s mayoral endorsement ceremony. Royal was struck by how local politics is different. What matters in a mayoral race are issues such as the success of a certain school or the design of certain neighborhood infrastructure, he discovered. Royal has been energized by the questions that the local issues raise. Mitchell Gladstone is taking the plunge into the fanatical world of Philadelphia sports. A regular workday might find him covering a Phillies game, an Eagles training camp, or even the 76ers’ NBA draft preparations. Working as a digital media writing intern for Comcast SportsNet Philadelphia, Gladstone reports on all four of the city’s major professional sports teams: the Phillies the Eagles, the Flyers, and the 76ers. He also covers a variety of other college and local sports. 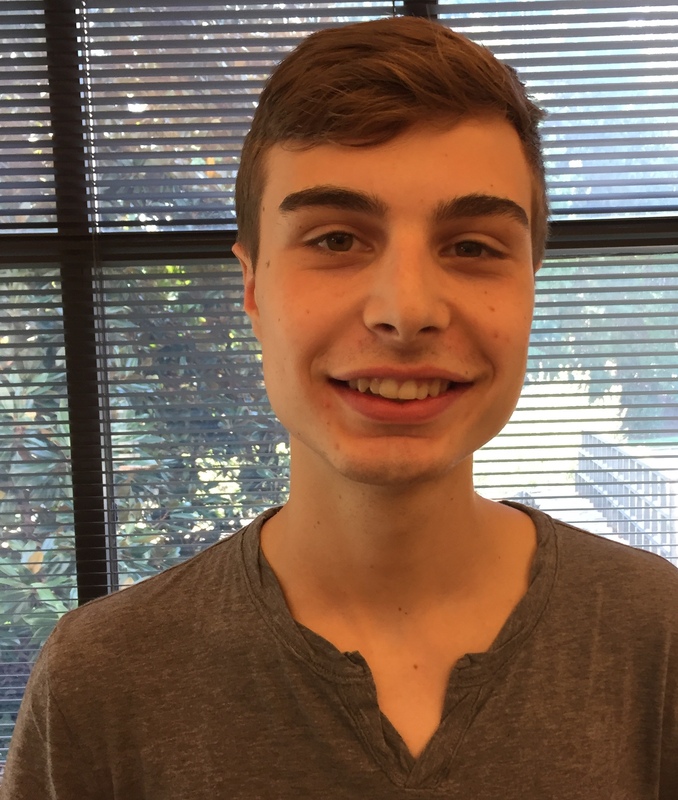 As the incoming sports managing editor for the Duke Chronicle, Gladstone is excited to use this summer’s experience to reimagine the Chronicle’s online platforms. He said he has been amazed to learn of the intricate operations involved in running an effective news website. Of the stories Gladstone has covered, interviewing pinch-hitter Ty Kelly after his game-winning hit for the Phillies against the Boston Red Sox ranks among his most entertaining experiences. Kelly, who had only joined the Phillies’ roster two months previously, was himself startled by his unlikely but decisive play. Gladstone is looking forward to profiling outfielder Mickey Moniak, the team’s No. 1 overall pick from the 2016 MLB draft. Above all, Gladstone said he has enjoyed the simple pleasures of writing for a large audience. From the visa issues of pool lifeguards to up-and-coming startups and county government decisions, Katherine Berko is focusing on community news. 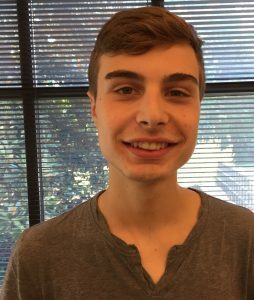 Berko is interning at ARLNow, the flagship of Local News Now, a company that delivers online local news in the Washington suburbs. 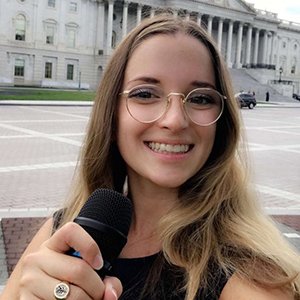 Berko, a student seeking the Policy Journalism and Media Studies certificate, has taken courses in newswriting and local news during her time at Duke. She was introduced to the inner workings of local government in a class called The Durham City Beat, while another class, News as a Moral Battleground, enabled her to develop an ethical lens into journalism. Both classes have given her valuable and practical insights into her current reporting. 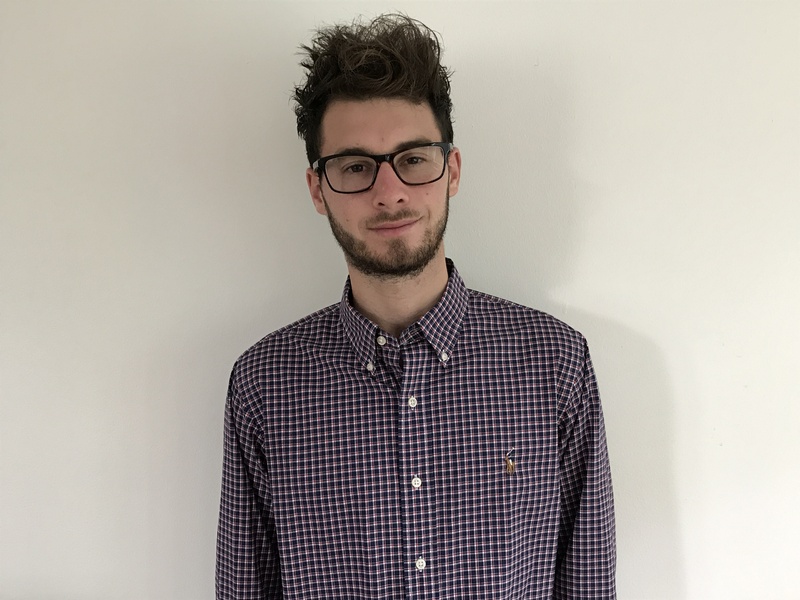 For Berko, covering a community is a great way to get an in-depth understanding of the people and their local government. Berko’s most memorable story covered a recently-opened homeless shelter, an experience that allowed her to relate to the county’s progress in reducing homelessness. She is also working on a long-term project investigating the gender imbalance in the website’s readership. High levels of online engagement have impressed on Berko the weight of a journalist’s responsibility in reporting news. 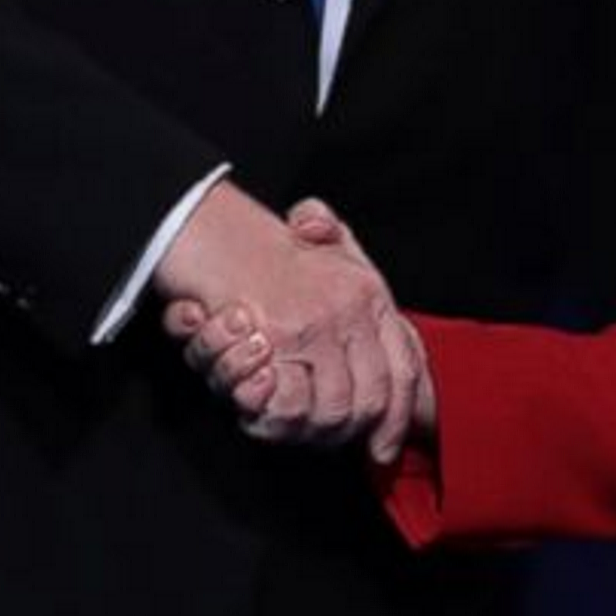 Her piece on Trump drew more than 130 reader comments. The headlines on Amelia Cheatham’s stories at the Orlando Sentinel illustrate the wide range of crime and mayhem she gets to cover every day: Polk County inmate dies while in custody. Clerk thwarts robbery at Orlando 7-Eleven. Man wanted in 2013 murder case arrested in Dominican Republic. Following leads on law enforcement logs and social media, Cheatham’s role is to keep readers informed of news as it’s happening. Most of her stories cover local crime and law enforcement, though she has also written on the rehabilitation of turtles and Florida’s “Donut Boy.” Though she expected the newsroom to be fast-paced, the sheer velocity of breaking news still surprised her. Covering breaking news makes her appreciate all the work that it takes to write a story. Cheatham, a global health major at Duke, has also been able to find opportunities at the Sentinel to fuse her interests in health and journalism. With the help of her direct editor, Janet Reddick, and the newspaper’s health reporter, Naseem Miller, she has interviewed survivors, a politician, and researchers for a piece on preeclampsia. Ultimately, the interpersonal aspects of interviewing and reporting on subjects are what she relishes the most. Journalism class monitors claims as the candidates face off during Wednesday's presidential showdown in Las Vegas. The former New York Times reporter spoke with Duke students about his mistakes, his bipolar disorder and how he found a new career in mental health. Jayson Blair, a former New York Times reporter who is famous for the wrong reasons, stood in front of a class of Duke undergraduates Monday. There was an awkward pause. The students looked at each other, waiting for someone else to go first. A student in the front raised her hand and blurted out the first question. She was referring to the 2003 scandal that seismically rocked the journalism world: the revelation that Blair had plagiarized and fabricated many of the stories he had written as a staff reporter for the New York Times. He had copied passages from other publications, conjured up fake quotations and lied repeatedly to cover up his misdeeds. Blair resigned, and the Times published a punishing, lengthy report investigating Blair’s journalistic fraud and the newsroom breakdowns that had let him slip through the cracks. According to the report, Blair’s actions were “a profound betrayal of trust.” A month later, Executive Editor Howell Raines and managing editor Gerald Boyd turned in their own resignations. Blair’s response to the student’s question was measured and thoughtful. It is, after all, a question that he has been asked – by editors, journalists, readers – for 13 years. Blair was suffering from undiagnosed bipolar disorder and recovering from severe drug and alcohol addiction – which added fuel to an up-and-down cycle of plagiarizing and fabricating. But Blair doesn’t believe his mental state is an excuse for what he did. “There are plenty of mentally-ill writers out there who don’t do similar things.” Instead, he emphasized, it was his character that was at the core of the problem. Despite the scathing report about his journalistic sins, many people at the Times responded with humanity and compassion. The higher-ups at the newspaper ultimately put Blair in touch with the psychiatrists that helped him treat his bipolar disorder, he said. In the class, Professor Bill Adair’s News as a Moral Battleground, students peppered him with questions. Does he have advice for his younger self? When did he begin fabricating? Was it the system or himself? Blair begins fidgeting with a piece of blue cloth from his pocket as he tackles each one. It began small, Blair remembered. His first instance of plagiarism was an unattributed quote taken from the Associated Press in an interview – one he was sure his editors would catch. But no one did. Is he sorry for what he did? Blair now lives in Northern Virginia, close to the family and friends he grew up with. After starting support groups in his area, he began working in mental health and currently runs his own life coaching practice. Although he wrote a book in 2004 about his experience, Burning Down my Masters’ House, he says he regrets writing it so soon after the scandal. It took him, he estimates, eight years to truly gain perspective on what happened. “I’m gonna burn all the copies!” he joked. 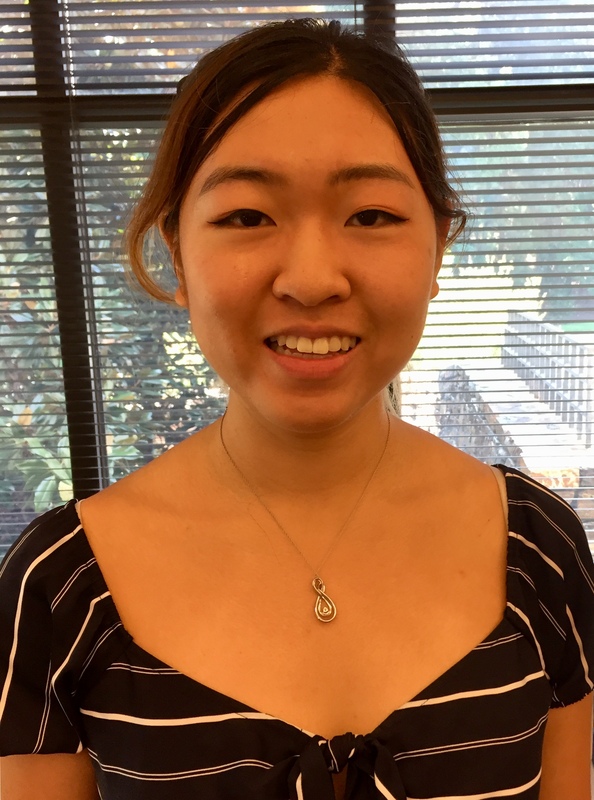 Isabella Kwai is a Duke senior and a student in the class. This is the prompt for the final paper in my PJMS 89S freshman seminar on the Digital Revolution and the Future of News. Students each need to write a 10-page paper and submit it by Dec. 12. Congratulations! You’ve inherited a newspaper! Your Uncle Bob, who had been publisher of the Oakville Acorn until he died in a tragic printing press accident, left the paper to you! In his will, Uncle Bob said he was giving it to you because he thought you had the right mix of journalistic skills and business savvy to keep the paper alive. The Acorn is the only remaining daily paper in greater Oakville, a metropolitan area with 1.5 million people. It’s facing the same challenge as other papers – a sharp drop in ad revenue and declining readership as older customers die off. It’s a well-respected paper that has won three Pulitzer Prizes (including the 2014 criticism prize for its restaurant reviews). The Oakville Acorn is well-respected for its local journalism. Now you get to reinvent the paper for the digital age. It is known for great investigative reporting and its in-depth local news. Oakville’s mayor is serving a 10-year sentence for accepting bribes that were uncovered by the Acorn’s investigative team. Oakville is a growing area. It is the state capital and home of the largest university, Oakville State, which has a nationally ranked football team and rabid fans who travel hundreds of miles to watch the the Antlers play. The Acorn offers great coverage of the Antlers with special sections printed for every home game. Classified ads are gone from the paper and revenue from display ads has declined 40 percent since 2000. To keep the paper afloat, Bob has been selling off the Acorn’s assets, including its downtown headquarters. The Acorn will be moving to a suburban office park on the edge of town that’s about a mile from the paper’s printing plant. A local developer plans to renovate the downtown building and turn it into a center for high-tech companies. The newsroom will become a food court. For all of its success with accountability journalism, the Acorn has done little on the Web and in mobile. The paper is still using a 10-year-old CMS that was built to accommodate an early co-publishing deal with AOL. (“AOL” was an online service that introduced most Americans to “the Internet.”) The Acorn website offers no original content, just the same stories that are found in the print edition. Bob liked to hold them back until 6 a.m. The paper is overstaffed. It has 200 newsroom employees, including many older staffers who are unfamiliar with Twitter and Facebook. 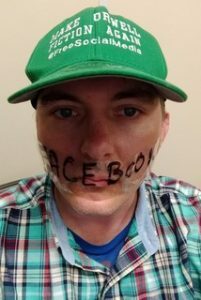 One columnist recently wrote a column boasting about how he does not use Facebook. So what’s your plan? How can you build on the strengths of the Acorn and the Oakville area? Write a 10-page paper about your plans to reinvent the Acorn and return it to profitability. Include your business plan and a detailed editorial strategy. Feel free to use sketches of your plans and samples of your journalism. 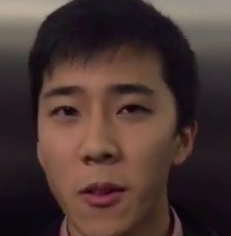 Students in my freshman seminar, the Digital Revolution and the Future of News, had to come up with an idea for a new media venture and make an elevator pitch – in an elevator. Here are the top five projects chosen by the judges (Ryan Hoerger, Leslie Winner of the Z. Smith Reynolds Foundation, and me). The students will now develop the five ideas into prototypes and will then make presentations about them to the class as if they were pitching to a venture capitalist.